Organic Herbs and Spices - Definition and where can you buy them. If you were like me, you would probably be wondering what's all the fuss about organic food stuff? Why are they different from mass-produced agricultural products? Nowadays you can even wear organic shoes, wash dishes with organic washing up liquid and step on an organic carpet. It used to be that the only people who consumed organic food or being vegetarians were the hippies in the 1960's. There were a number of small independent organic farmers who supported this way of life. Then in the 1990's, it was considered hip for the yuppies to embrace the supposed to be holistic approach to health. The reality is, now, more and more average Joes and Janes are gravitating towards organic products to be included in their diet as well as in their lifestyle. The fact that cannot be denied is also due to the longevity of life factor. Elderly parents now live longer, they want to enjoy life to the most and not be bed-ridden or having to fork out massive sum for their medication or other health related expenses. The key to healthy living begins with what you eat. Organic lifestyle fits the bill. Organic herbs and spices means that the food you consume has been produced by abiding a certain standard and following certain guidelines ascertained by a number of official bodies throughout the world. The products are considered organic if they have not been subjected to any chemical treatment in the fertilizer or livestock food. The finished outcome has also not been irradiated with gamma rays or something similar to kill bacteria or to preserve them from decay. There should not be any wax sprayed on the fruits to maintain its shiny look. Also, the livestocks or farm produce have not been grown with additional man-made hormones to make them mature faster or grow at the same size for easier packaging, grading and shipment. For organic farming, the land itself must also have been free from artificial fertilizer or has not been sprayed with perticides chemical for at least three years. What a tall order, no wonder organic herbs and spices you purchase cost about three times as much as ordinary food. The point is, there is not much to differentiate between organic farming and your own backyard garden if you refrain from using harmful pesticides or spraying hormones. Also, if you only use organic compost to feed your plants instead of chemical fertilizer. The obvious fact being absent from your own backyard garden is, you do not have to keep thorough records like what those specialized farms are required to do. Governing bodies that regulate the law hold spot checks and perform regular audits to ensure that the organic products out of these farms are what they claim to be. Soil and water samples are periodically subjected to laboratory testing to ensure that they are not contaminated with harmful substances also. These are some of the reasons why organic food is more expensive, more so if the foodstuff is imported from overseas. Health food stores - these stores sell organic products as part of their holistic approach to healthier living. 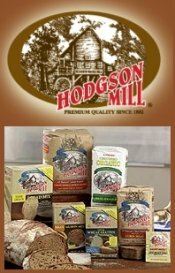 Specialty groceries stores - these stores sometimes combine organic products with other specialty like exotic Asian food or kosher items. 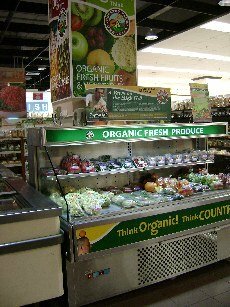 Supermarkets - most supermarkets now devote a section for organic food. The organic farms - if you have access of one in the neighborhood, it is very convenient to buy direct fresh produce from the farms. On the internet - look for reputable companies by inspecting their certifications and also good ranking in Alexa, which implies solid business and repeating clients. For extra information about healthy eating, do check out the link, which was written by Suzette Kroll, R.D., who is a recognized expert in nutrition, specializing in weight loss, sports nutrition, vitamins and supplements. India has begun farming organic herbs and spices for some time now. The United States probably has the widest area of organic farmland available. Australia and New Zealand, being pretty much isolated from the rest of the world boast large grazing areas, uncontaminated water and also a wide range of climate to grow many types of fresh produce. In Malaysia, there are several organic farms. All of them are located in the highlands. In Cameron Highlands, Bukit Tinggi and also Fraser Hills there are commercial organic farms. It is a good thing now that there are more awareness, the demand for this healthier alternative makes it possible for organic food to be grown locally. Usually, when you read the labels at the packaging of the products, the country of origin is stated. Also, the certification body of the particular country will also make its mark on the label. You will then be assured of the quality of the organic food produced. It all boils down to trust. If you have the time to visit the farms, by all means, do that. Most organic farms have their own visitor's centers where ordinary folks can browse around and see for themselves all the processes involved in the making of the organic herbs and spices. Organic herbs and spices are supposed to taste a lot better than their mass produced counterparts. They do not look pretty, most are of irregular shapes, unlike what perfect fruits or vegetables should look like. In the long run, by consuming more organic food instead of those grown by normal farm that use chemical fertilizers and pesticides, our bodies will be better off.